When you have abnormal sounds coming from your car, it may be a good idea to see a shop for auto repairs. However, you also want to bring your car in for services like oil changes and battery checks even if your car seems fine. For these visits, you want to make sure you’re getting the most for your money instead of paying for services you don’t need or ones that are more expensive than normal. Here are a few tips for making sure you get a good deal with your auto repairs! If you are worried about the car care you are going to receive, first use resources that have already done some leg work on finding out who is and isn’t credible. The National Institute for Automotive Service Excellence (ASE) is the certifying body for automobile mechanics in the United States. Using a repair shop that is ASE certified can help you have the peace of mind you are seeking on starting with a reputable shop. When shopping for a good repair shop, pay attention to the state of garage. “Ask for recommendations, years in business, warranties offered, licenses, and the type of equipment used. Look for a clean garage. A floor cluttered with empty oil cans, worn tires, and dirty rags is a red flag,” Reader’s Digest says. Also, always ask your mechanic to give you your old parts back. This way you’ll know they’ve been changed, and, if needed, you can find out if they’re worn. This information will help you know if you have found a reputable service station. We you find one you like, stay put and build from there! When it comes to trusting that your dollar is being spent well for a vehicle service or repair, it pays to take the time to build a relationship through regular service with the same mechanic. Consumer Report (CR) experts and other research has shown that “building a connection with a mechanic over time instead of casting around for the cheapest price for each repair,” is the smartest move you can make for both your wallet and your peace of mind. Offering your mechanic repeat business shows consumer loyalty. Loyalty can go a long way in ensuring you will get your best outcome and their best work. A mechanic that gets to know you, your budget, your needs and also gets familiar with your car means that everyone is more informed all around. The more information both of you have during the process, the better everyone is able to meet their goals. When it comes to repairs on your vehicle, it is worth your while to take the time to review your warranty. You could save yourself hundreds of dollars by using it to cover listed items when needed. A good repair shop can help you easily discover what is and isn’t covered by your warranty. You can also call your warranty provider and talk with them about what is or isn’t covered to have added information. It never hurts to ask if there are any current discounts available–now or in the near future–if you have a car service needed. If you have repair needs that are covered by warranty, chances are your serviceman will try to help meet you somewhere in the middle if you ask. Discuss with your mechanic the pros and cons of using used parts vs original manufactured parts for your particular repair needs. There are also several online tools that you can reference to find out what certain repairs should cost you. Try RepairPal and CR’s Car Repair Estimator. These websites ask for information about the year, make and model of your vehicle (and your zip code) and then offer you a price range for the repair with certified shops that will honor that estimate, CR says. 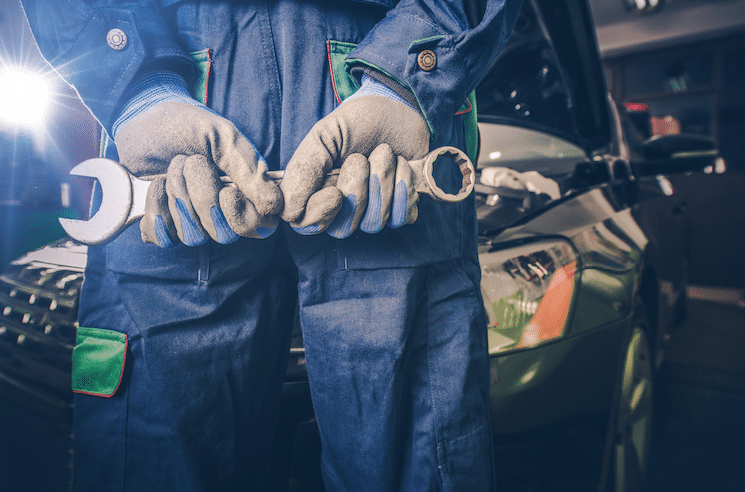 Scott’s Fort Collins Auto & Repair Shop sets themselves apart from other auto mechanics, and are your best source for professional and reliable service. Established in 1993, our highly skilled ASE certified technicians offer comprehensive knowledge and experience. You can be sure that your car will be handled with the latest diagnostics equipment and that everything done to your car will be explained to you in terms you will understand. We are a full service Auto Repair center that specializes in providing quality services. No job is too big or small. Scott’s Fort Collins Auto is locally owned and managed providing superior products and services at a price that can’t be beat! Scott’s Auto is a proud member of the Fort Collins Chamber of Commerce, and maintains an A+ rating with the BBB! Contact Scott’s Fort Collins Auto & Repair or call us at (970) 682-4202 to set up an appointment to learn all the ways we can help you with your repair and service needs.